We knew the last night at Death By Audio was going to get pretty raw, with about a million people cramming in to say goodbye to the DIY venue even if they’d never been before. But what we didn’t plan for was seeing the line get cut off after just 80 lucky folks walked through the door. 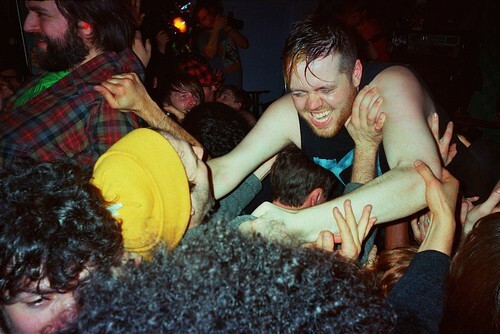 And less than a year from when we last surveyed the post-285 Kent DIY scene, one of our favorite venues is now closed.